will cause them all to lose their magic. and my heart found dreams. The raspberries are finally ripening, and it’s time to go and harvest a few baskets and to visit the warm quiet places at the edges of woods filled only with the sounds of insects humming and buzzing and clicking, and birds singing to each other in the cool darkness among the trees. 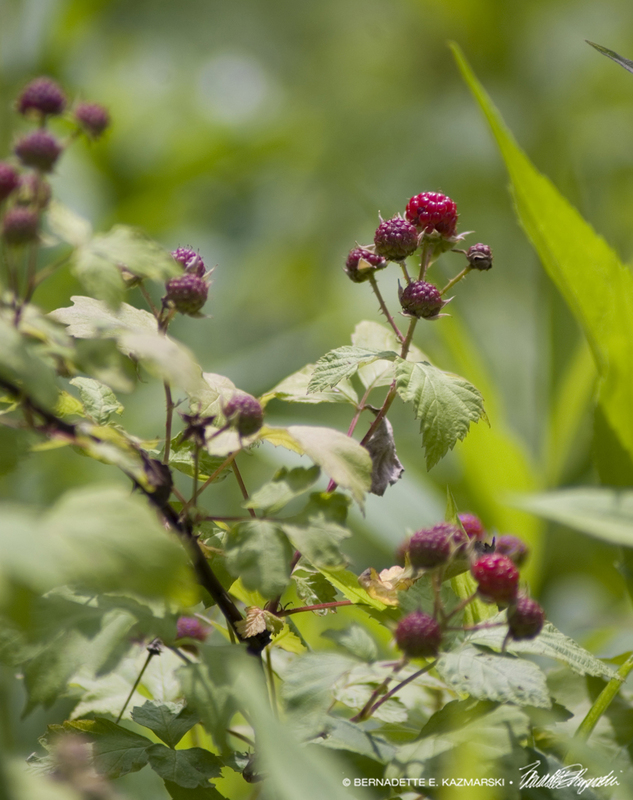 Though raspberry time is typically June and summer has passed its zenith, the raspberries are finally ripening in my yard and along the back roads I travel. I remember them first in the abandoned hillside pasture across the street from where I grew up, on a hot summer day, barefoot on a narrow dirt trail through the tall grasses.